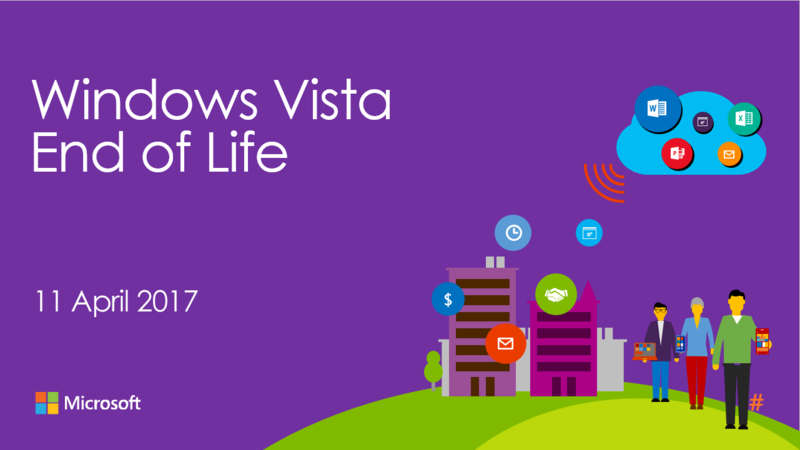 As of today Windows Vista has now reached the end of its product support lifecycle after completing five successful years. In other words, Microsoft will no longer be supporting Windows Vista, and all updates for this operating system will be completely stopped. After the April 11th deadline passes, your Windows Vista computer will still work as usual, however you will be more vulnerable to security risks and viruses – especially if your PC is connected to the internet. Users of Windows Vista are advised to upgrade ASAP. Why Upgrade from Windows Vista? The longer you stay with Windows Vista, the higher the chance you have of becoming a victim of cyber-crime. Although Windows Vista came with a significant improvement, as time goes by cyber-criminals target out of date operating systems due to their un-patched vulnerabilities. Updating your operating system will safeguard you from these external threats and help keep your system more secure with continued Microsoft mainstream support and patches. For windows 10 upgrades, fully managed and monitored with remote support, please contact Zen. If you desperately want to hang on to Windows Vista a bit longer and willing to take the risk, watch the video below for some tips.